LISA AND HER HUSBAND DISCOVERED THEIR PASSION FOR WINE WHILST STUDYING THEIR ADVANCED LEVELS. Bastian focussed on the practical side of the business practising his winemaking skills at the Wine Estates of Hauck and Philipp Kuhn, subsequently graduating as a viticulture technician in Bad Kreuznach. Lisa studied International Wine Management in Geisenheim before gaining practical experience at the Wine Estates of Dressigacker, Georg Gustuv Huff and Ruzycki. During her studies, Lisa spent time harvesting in South Africa and Australia. After their graduation Lisa and Bastian concentrated on the Wine Estate of ‚Margarethenhof‘ now known as the Wine Estate Lisa Bunn. They have worked together for years reviewing and improving quality and production which has grown year on year, they have also enhanced the range to meet the demands of changing requirements. The Winery focusses mainly on Riesling and Burgundy and has begun to replace older grape varieties such as Bacchus. As far as the production is concerned, more emphasis has been placed on the origins of viticulture, this means, back to hand-picking, longer maceration periods, spontaneous fermentation and longer yeast storage. In the process, wooden barrels for white Burgundy’s play an integral part once again. When Lisa’s father, Georg Bunn suffered health problems in 2013, Lisa and Bastian decided to pool their resources and fully invest in the Wine Estate. Part of their marketing strategy was to change the name of the estate to The Wine Estate Lisa Bunn. 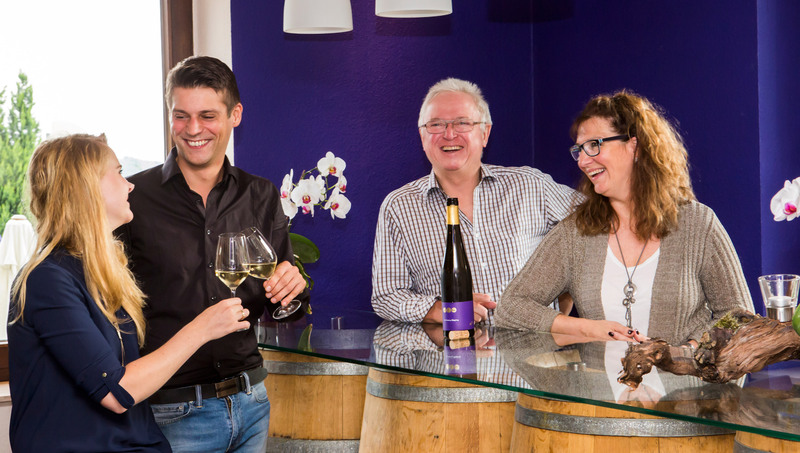 Happily, Georg Bunn has made a full recovery and now he and his wife Eva manage the customer service side of the business, allowing Lisa and Bastian more time to concentrate on the production of first class wines.